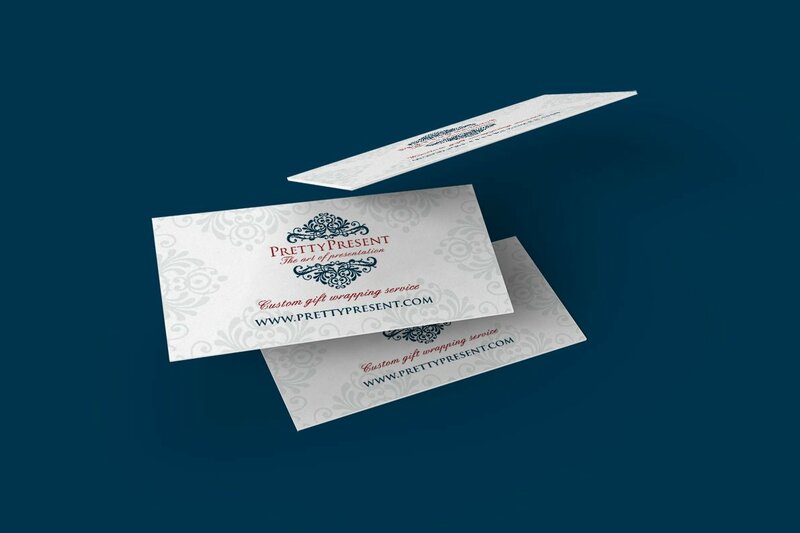 Pretty Present is a small yet highly successful gift wrapping service. 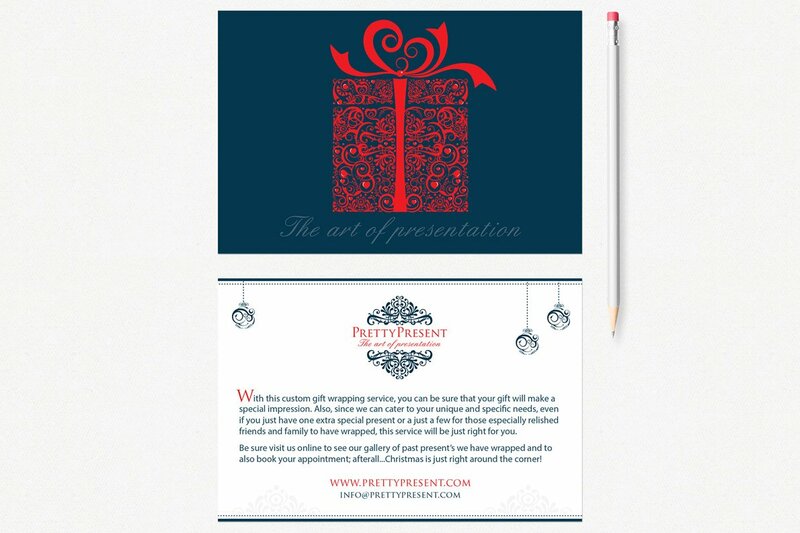 One of the unique services that makes this business stand out is that they are able to offer custom print-on-demand gift wrap for their clientele. They also use wrapping paper bought from around the world as well as vintage gift wrap paper – that is no longer in print. 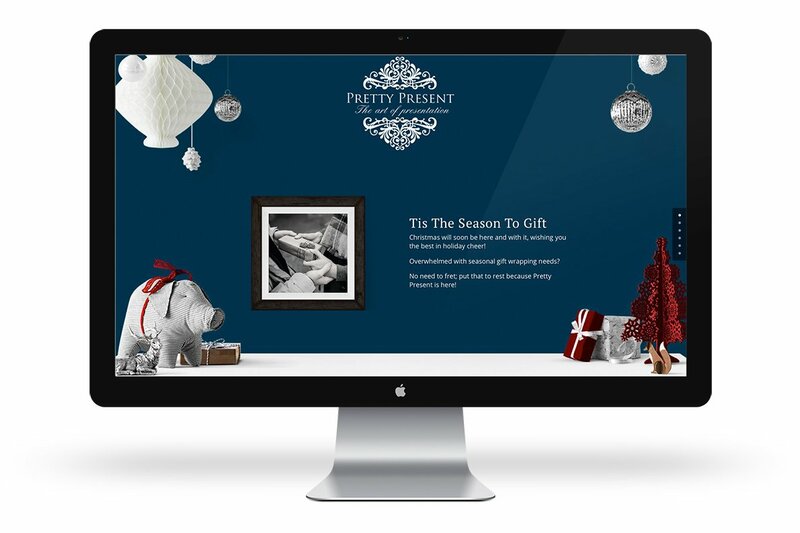 Pretty Present was looking for a branding style that would be as elegant and distinct as their business; while also maintaining a modern flair. The solution was to design an elegant yet modern crest for their new logo in addition to creating a luxurious and striking color palette to match. 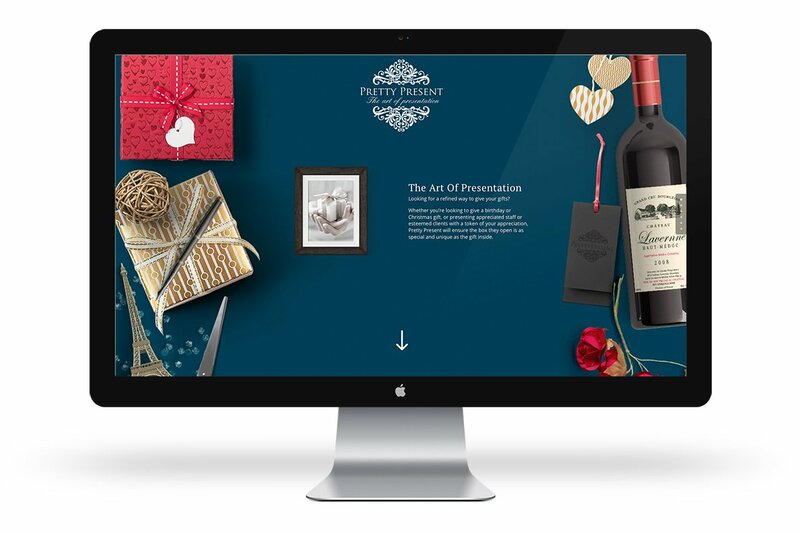 Last but not least, part of the uniqueness that makes this business stand out from others, is having a customized site whose theme changes according to the holiday/seasonal – showing an visual indication that this service year round.